Mankind drove back the Imperium at Ganog 7, but it was a pyrrhic victory. Their fleets are shattered, and it will take months to rebuild– time they do not have. Nolan and T’kon are sent to the Azi home world. Their orders— trick the Azi Clan into bringing the location of the Coalition shipyards to the Empress. When the Ganog fleets come, Fizgig and the Coalition fleets will be waiting in ambush. Yet neither the Coalition, nor the Empress are aware of the true threat. The Nameless Ones have returned, and their seekers are everywhere. 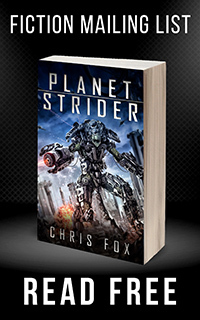 They will stop at nothing to unseat the Empress, and seize control of the Imperium for their dark masters. Only the Tigris Khar, trapped on Imperalis, can save her. Caught in a web of duty and honor, the warrior must choose. If he saves his enemy, he damns himself, but if he refuses to help, then the entire galaxy will burn. 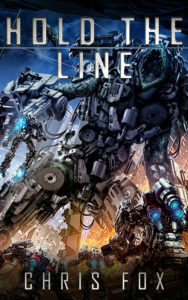 Get Hold the Line on Amazon now!